Snapchat has made one of the biggest changes to its platform yet introducing Snapchat Limitless Snaps and Magic Eraser and reorganizing the layout of the Creative Tools. 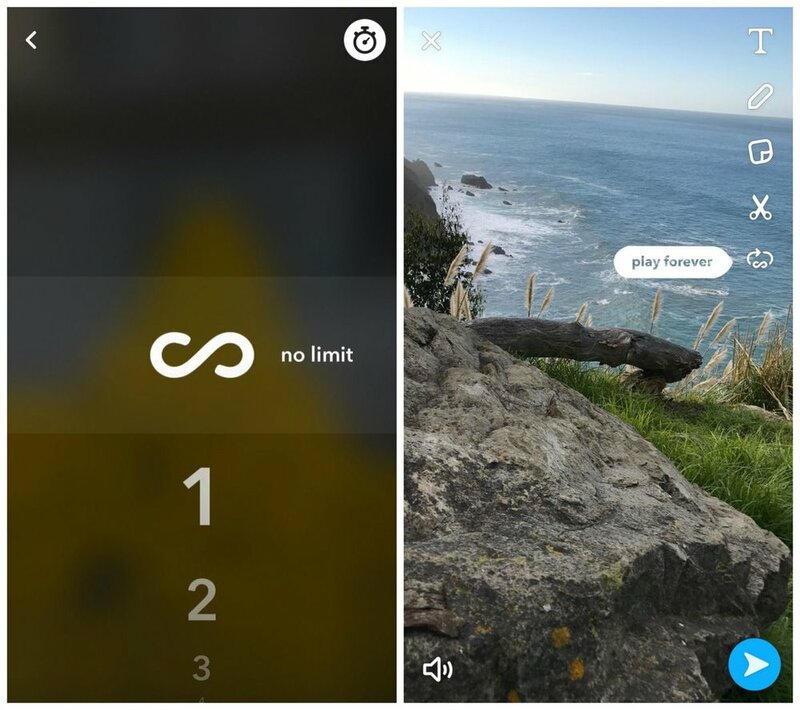 The limitless snaps will play on one's friends' screens until users skipping to the next snap by tapping on the right side of the screen or by closing the app. The time limit was lifted both from the snaps posted to a story and shared with friends directly via Snapchat. After one's friend finishes viewing the Snap and taps to close it, Snapchat will delete as usual. Snapchat has also added a Loop tool for videos, looping them indefinitely until one's friend decides to tap and move to the next snap. A new "magic eraser" feature allows users remove parts of an image letting users play around with the objects in the snap and let their creativity run wild. In addition to these major changes Snapchat is also introducing an new design for its "creative tools" moving them to the right side of the app. The new creative tools include a fun new addition: an emoji drawing feature that allows using emojis as a brush. The brush update follows the recent adjustment which allows Snapchat users change the brush size. "These changes allow us to continue evolving the Snapchat service and provide a foundation for introducing even more creative tools for making fun Snaps," Snap Inc. said in a statement this morning.